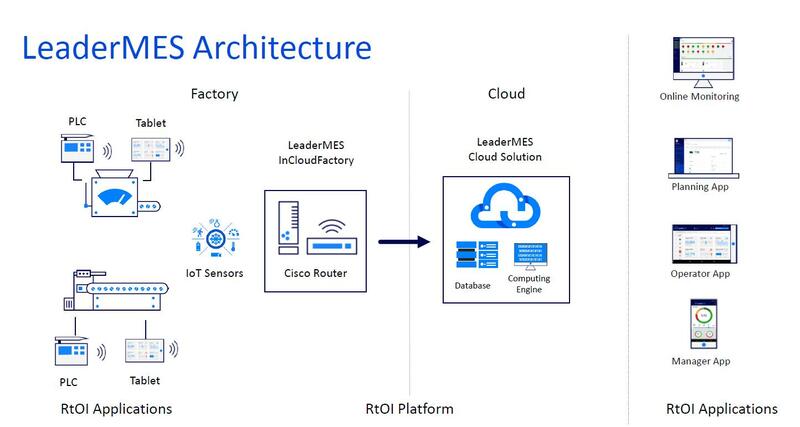 LeaderMES facilitates industrial SMEs to shift to an Industry 4.0 paradigm by enabling operation intelligence throughout the manufacturing journey, powered by the latest in secure connectivity, data analytics and advanced computing. By optimizing production efficiency and digitally streamlining processes, LeaderMES positions its users at the forefront of industrial technology, increasing their profitability and competitiveness. Q: How would you describe LeaderMES in your own words? 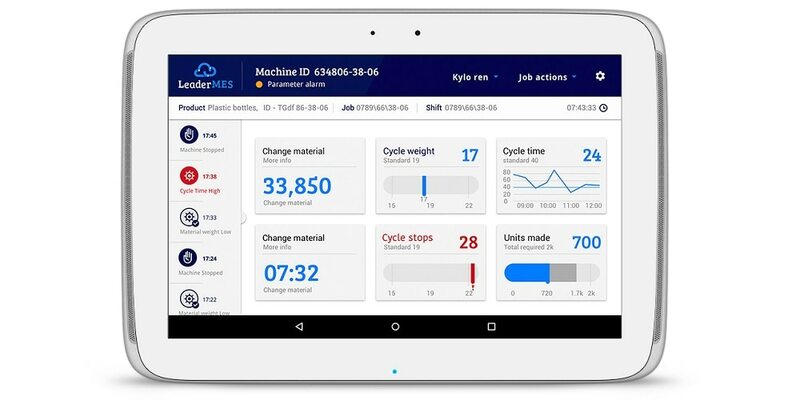 A: LeaderMES offers a smart digital manufacturing platform that provides a comprehensive manufacturing management system together with the flexibility of modular plug-and-play tools. The secure, cloud-based, digital platform and smart applications provide visibility and control in highly demanding production environments. A: LeaderMES develops and markets a smart digital manufacturing platform that allows its users to implement digital tools and work concepts into their manufacturing environment. Due to our extensive experience with manufacturers, we have deep understanding of the pains they experience daily. With that experience and our unique technology we are offering a secure, simple and quick way to implement Out-of-the-Box OEE in a matter of hours. We built LeaderMES with our clients’ needs in mind, providing its users with layers of information and analysis that allow them to improve their manufacturing processes and to make informed decisions in real-time. LeaderMES is designed as a Plug-&-Play, agile system that drives improvements and savings, leading to quick and visible ROI. Q: Could you explain the function and advantages of your cloud-based solutions for the digital factory? A: As the use of cloud-based RTOI / MES systems grows, so do concerns about data security and transfer speed. In response, LeaderMES has collaborated with Cisco to provide users with its proprietary technology – InCloudFactory. This is a secure, independent and stable wireless network that operates separately from the rest of the factory. 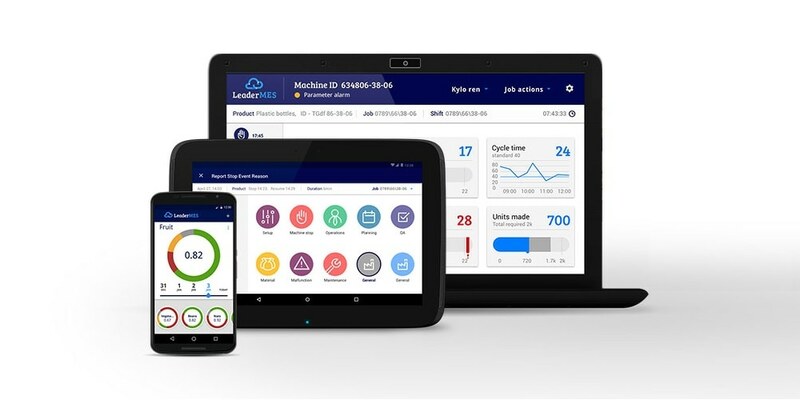 Manufacturing data is encrypted for transfer from the shop floor to the Cisco router to the cloud, using LeaderMES unique technology. One of the most important benefits of our cloud-based system is the unique security solution it offers. The risk of exposing sensitive manufacturing data outside the factory is null, due to the fact that our system only allows flow of data within the factory and blocks any external flow into the system. LeaderMES is non-intrusive to the manufacturing process, and can be quickly and easily installed as plug-&-play tools, without burdening the facility processes or staff. It can be adjusted to the specific needs of each manufacturing facility, starting from out-of-the-Box OEE through full-scale MES. By offering its users RtOI and actionable information, LeaderMES facilitates informed decision making throughout the manufacturing process. Below is a schematic view of the system architecture and functionality. The use of smart connected applications provides the LeaderMES users with Real-time information that is relevant to their specific needs. That way top management, for instance, can view the overall manufacturing process through the Manager App, while the operators on the manufacturing floor can manage their tasks and easily report their progress through the Operator App. Another strong benefit of LeaderMES lies in the fact that the system enables traceability and control over the manufacturing process, as well as maintains consistency of regulations and standards. These abilities are inherent to the system and are part of the Plug-&-Play attributes of the platform, allowing users a hassle-free implementation of highly important features. These features and capabilities provide the users with the benefit of offering high quality and meticulous service to their customers, which play significant roles in the overall competitiveness of a factory. On top of that, LeaderMES is a learning system, preserving the manufacturing facility knowledge base for ongoing improvement of the manufacturing processes. This is how it provides operational intelligence and actionable information to the users that can help them make a measurable difference in their manufacturing success. Q: What advantage does LeaderMES have over its competitors? A: There are several advantages that LeaderMES has over the competitors. First, it is highly suitable for SMEs in a variety of industrial environments due to its flexibility, modularity and adaptiveness. LeaderMES was designed to answer advanced manufacturing challenges which involve fast changes in processes, resources and requirements. It is a plug-&-play solution that provides a full OEE right out of the box. The installation usually takes less than a day, and the user can start using it immediately. As mentioned before, it is also non-intrusive; there is no need for complex connections or protocols to collect the data that is required for the system to make a difference. On top of the easy installation and intuitive operation, we also offer an introduction phase of 4-6 weeks, in which the user has the opportunity to experience the system in the “real” environment, easily adapt it to the specific needs, and see its ROI already within that period. A significant advantage over our competitors, as I said before, is the unique cloud security solution that the system offers – the InCloudFactory. We can guarantee our users the safety of their information, which often encompasses the main competitive advantages they have in their market. Q: What can we expect from LeaderMES in next six months? A: LeaderMES is growing fast in multiple areas. Our agile system structure allows us to listen to our clients and add more applications and more modules that answer more needs that come directly from the manufacturing floors of our users. In the coming months our clients will enjoy an advanced optimization engine, more AI capabilities and further expansion of our cloud solution, supporting more protocols and more advanced sensors. We are also growing globally, providing solutions to more regions. We already have partners in Europe, Australia, South America and Asia Pacific, and we are looking forward to expanding into more countries and more regions, including North America. The same goes for our partners worldwide; we have been working with a wide range of partners that are relevant to digital transformation in manufacturing, including integrators, equipment providers and consulting firms. I already see a growing number of opportunities to collaborate with more partners who can bring, together with us, a complete and innovative solution to our mutual users.